The Habs failed to qualify for the playoffs and did not even reach 30 wins last season. It seems like there is only more suffering coming up this year. In the 2017/18 season, the Montreal Canadiens finished sixth in the Atlantic Division, dropping out of the playoffs, and accumulated 71 points, 22 fewer than the season before. Leading the team in points was right-winger Brendan Gallagher with just 54 points, scoring 31 goals. Gallagher was the only player on Canadiens' roster to get more than 20 goals, a clear reason why Montreal struggled. Following behind him in the points tally was the now-Coyote Alex Galchenyuk with 51 points. In one of the biggest trades of the summer, Canadiens' No. 1 center was traded to the Arizona Coyotes for winger Max Domi. The move did not quite make sense to many a Canadiens' fan, as not only has Domi scored fewer points than Galchenyuk in all of the past three seasons, he is not a center. The Canadiens will be hoping that their never-ending and well-chronicled search for a No. 1 center will be over after drafting Jesperi Kotkaniemi. You won't be seeing the Finnish prospect this year, as he has been loaned out to his home team of Ässät in the Liiga. A big weakness that struck down Montreal last year was injuries. Top defenseman Shea Weber played only 26 games last year and is predicted to be out until 2019. Carey Price has also struggled with injuries, getting a .900 save percentage in 49 games. Canadiens captain Max Pacioretty also had some injury issues and has a lot of trade rumors surrounding him. The winger was expected to be traded at the draft by many experts but is still a Canadien as of now. Other than trading for Domi, they brought back veteran center Tomas Plekanec after trading him away at the deadline. Some other possibly impactful signings from free agency are 12-goal scorer Joel Armia, and center Matthew Peca. - Shea Weber comes back to full fitness before Christmas and is playing as if he was never gone. - Carey Price leaves last year behind and returns to having an under 2.50 GAA. - Kotkaniemi tears it up in the Liiga and is ready to play top-six minutes next year. - Domi has a career year, breaking 60 points, finally coming good on his potential. - Canadiens win the draft lottery and get to draft Jack Hughes, solving their No. 1 center issue at last. - Max Pacioretty decides to re-sign or is traded for a very good return. - Weber's injury continues to linger or has impacted his body to the point where he can't perform at the level he used to. - Carey Price continues his poor form from last season, still letting in more than three goals per game. - Domi continues his current trajectory and barely breaks 40 points playing on the second line. - The defense will be as bad as they seem on paper, so the Canadiens will have to rely on their offense to outscore the opposition. - Pacioretty leaves in free agency or gets traded for almost nothing. The Canadiens’ franchise is in a really terrible place right now. They have aging and declining stars like Weber and Price, who they are very unlikely to move. The pipeline with prospects doesn't look very promising for the next few years, so the Canadiens are in a rough spot there as well. They have a below average core that is not good enough to even challenge for a wildcard spot (Montreal finished 26 points behind the Devils, the last wildcard team). A bold move would be blowing up the roster, trading big stars for top prospects and draft picks, but moves like those are rarer than a goat riding an elephant in the NHL, especially in a huge and demanding market like Montreal. Rather than moving up, the Canadiens might be overtaken by the Buffalo Sabres, who added the No. 1 pick Rasmus Dahlin, Jeff Skinner, and scoring depth in players like Vladimir Sobotka or Tage Thompson. 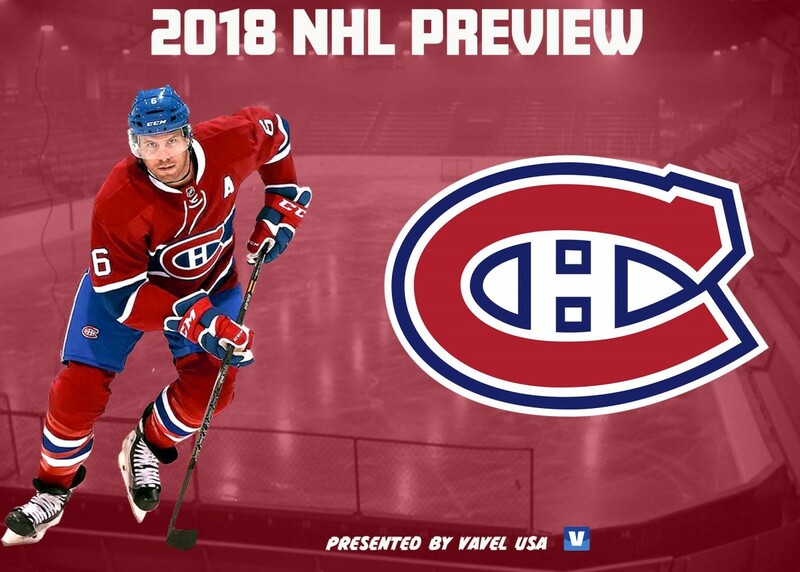 How do you think the Montreal Canadiens will do this 2018/19 season? Let us know in the comment section below, and make sure to give us a follow on Twitter (@VAVELNHL_ENG) for more updates!